FOR THE LATEST ON THE PRE-CONSTRUCTION WEST VANCOUVER EVELYN DRIVE REAL ESTATE DEVELOPMENT, PLEASE CLICK HERE. Large and luxurious suites are now selling here at the house sized condominiums at the UBC Wesbrook Vancouver condo development. The prices start from $1.285 million and the boutique UBC condos by ASPAC features only a small collection of fifty eight high-rise Vancouver condominiums in addition to 7 three level townhomes that provides a great balance of privacy and ultimate urban living in the heart of the University of British Columbia community. In addition, the concrete construction at the high-rise UBC WEsbrook condo tower provides the best sound insulation and buffering between units so that you won’t here them whatsoever. There is also a thermostatically controlled HVAC system that provides great energy efficiency and both heating and cooling. Pre-wiring for all of the high-tech gadgets are also standard in every Vancouver Wesbrook UBC home for sale and there are heated limestone and marble flooring, the ultimate Lutron lighting system that is programmable and also many amenities within the community for homebuyers to enjoy. Ergonimically designed kitchens also add to the value and prestige of the presale Vancouver UBC Wesbrook homes for sale and the interior colour schemes are both vibrant and elegant. The kitchens present Snaidero, Miele and Bosch appliances, Mankato limestone exteriors, floating vanities and floor to ceiling windows. Most floor plans at the presale UBC Wesbrook luxury Vancouver condos for sale also present oversized balconies with great views. The vantage point is amazing, and with water, city and park views, home owners will not be disappointed. Located in the West Side Vancouver real estate district, the UBC Wesbrook condominiums are part of a neighbourhood that contains the best rated schools, lots of entertainment options, services, dining and shopping and also a close proximity to downtown. ASPAC, the real estate developer for the Vancouver Wesbrook luxury condo tower is seeking Silver REAP certification, a green building strategy that is modeled after the LEED certification. From sustainable features such as low e coated glass windows, large balconies, huge windows for natural lighting and heating/cooling systems, it should be no problem for the new Vancouver condos at the Wesbrook UBC to get the Silver REAP standing. Located just steps away from the seven hundred hectare Pacific Spirit Regional Park, homebuyers at the Wesbrook Vancouver condos will find floorplan sizes between sixteen to nineteen hundred square feet, which present great resale value at a later date as well. West Vancouver Council Approves Rodgers Creek Real Estate Development! As first reported by the most trusted new source for the North Shore, the North Shore News has reported that 736 housing units are being planned for the Upper Lands called Rodgers Creek development according to Manisha K. West Vancouver residents showed up in full support of the Rodgers Creek West Van development bylaws at a public hearing Monday night. Around 100 residents packed the municipal hall to voice their approval of the plan’s principles of environmental and economic sustainability. The bylaws support the rezoning of 215 acres of land above Highway 1 to allow for 736 new West Vancouver units amongst six divided areas, including new townhomes, new West Vancouver duplexes and apartment suites. Only 13 per cent of the dwellings will be single family homes at Rodgers Creek development, and one-third of the apartments are to b less than 1,000 square feet in size. Currently, the Rodger’s Creek Upper Lands zoning would permit approximately 300 new West Vancouver single family homes. The needs of young families and empty nesters are addressed by this plan, said Mark Ballard, a real estate agent in the district of West Vancouver real estate market. “I think responding to these demographic changes is key to keeping our community vital,” he said. Ballard broke down the numbers for West Vancouver council to demonstrate how the smaller units, at the real estate developer’s target price of $750 per square foot, would be affordable for an average household despite market values in West Vancouver real estate. “we’re looking at this being a very, I think, affordable and humanly sustainable program,” said Ballard. In spite of the enthusiasm, a few concerns were raised with regards to traffic and the proposed community benefits package agreement with British Pacific Properties regarding this Upper Lands Rodgers Creek West Vancouver property development. Phil Aldrich, a representative of the 21st Street Area Residents Association said he represents a group of neighbours who have been greatly impacted by high volumes of traffic along 21st. “this new [real estate Rodgers Creek] development will only make a bad situation worse in terms of impact on our neighbourhood,” said Aldrich, pointing out the number of community amenities that are accessed by that street. “Residents more keenly feel each new increase in terms of loss of pedestrian safety, reduction in quality of life and dilution of neighbourhood identity.” Althouth the Rogders Creek Upper Lands community benefits package includes $250,000 towards traffic improvements along 15th Street and Mathers Avenue as well as 21st Street, Aldrich asked West Vancouver council to consider increasing the amount to effectively deal with concerns regarding the new proposed Rodgers Creek property development project by British Pacific Properties. The question of whether or not the roughly $20 million community benefits package is fair to the West Van district was also raised. West Vancouver’s agreement with the real estate developer exempts British pacific Properties from land use and zoning changes in the Rodgers Creek Upper Lands area for the next 10 years, in exchange for $7.94 million and a number of amenities. The extension of Chippendale Road, $500,000 towards environmental restoration, recreational trails, storm water and fire management plans, traffic improvements and two amenity buildings in Area 5 and Area 6 of the Upper Lands West Vancouver plan, are among some of the benefits included with the proposed Rodgers Creek BPP development. However, it’s difficult to determine how the values of these compare to the profit made by British pacific Properties through the upzoning, said resident Carolanne Reynolds. “More units result in higher value,” said Reynolds, challenging an assessment done for the West Vancouver district that indicates the West Vancouver Upper Lands real estate developer, BPP, will actually make less money on the rezoned proprosal, due to fewer single familyhomes. “The figures and amounts given should be examined and thoroughly explained to avoid confusion,” said Reynolds. Besides, residents should have their say in what amenities are received through these real estate developments, she added. “For the community’s share, we should have a widespread input and it should be win-win, not just a win for the developer.” Counc. Vivian Vaughan echoed these concerns regarding the Community Benefits Package for the Rodgers Creek real estate development by BPP. “We simply can’t afford to do this without everyone else’s taxes going up and quality of life going down,” she said, adding the amenities package is “miniscule” compared to the billion dollars British Pacific Properties will make in the Upper Lands developent of Rodgers Creek apartments, townhomes and single family West Van homes. Committing the district into a 10 year contract would be unwise, she said. “Once we agree to this, no matter what happens for the next three councils, their hands will be tied.” West Vancouver council passed third reading of the bylaws by a vote of 6-1 with Vaughan in opposition. The real estate development plan for Rodgers Creek West Vancouver was developed after an exhaustive process that included one year of discussions between the real estate property develops of West Van and a working group made up of residents. Now that the plan has reached council, a public input process will begin April 10. According to Bob Sokol, director of planning, lands and development, the plan, if it goes ahead, is “going to be the major real estate development in West Vancouver in the next few years.” With a significant amount of land left as green space, Sokol said development at Rodgers Creek West Vancouver will be very focused. The plan isolates property development into six areas that will eventually create four distinct neighbourhoods, each containing a mix of single family housing, duplexes, and triplexes, townhomes and apartment condos. Connecting them at Rodgers Creek West Van plan will be a three kilometre mountain path, a multi-use trail that will take users to nearby amenities and secondary trails nearby. “For a person coming in here, I’m really impressed by the level of work put in to this (report),” said Sokol, who took over the department last week. Outgoing planning director Steve Nicholls also like the plan for Rodgers Creek real estate development in West Vancouver. “I think it’s a great direction,” he said. “We have very limited land left than other municipalities to develop … but 60 per cent of it (the Rodgers Creek area) will remain green space.” According to Geri Boyle, manager of community planning, the Rodgers Creek plan was built on consensus between the real estate developers and the West Van working group. “I think a significance is it’s a departure from the type of community that’s been developed in the past in the upper lands. It’s significant in it follows the direction that was really set by the community in the Upper Lands Study (completed) in 2001.” John Barker, a working group member and a director of the West Vancouver Streamkeeper Society, said his organization is very supportive of the West Van Rodgers Creek development plan. “We’ve been involved since January last year (and we’ve) table d anumber of our own principles we felt were important to development on those steep slopes,” Barker Said, adding many of those principles have been included in the proposal for Rodgers Creek above the Upper Levels Highway in West Vancouver. “If (the public) really take the time to read this document, I think the publis is going to be supportive (of the plan),” he added. Andrew Pottinger a spokesman for British Pacific Properties, the primary landowner of the land around and in Rodgers Creek West Van said: “We’re very excited after such a long time we’re coming forward with a plan that works with the municipality and the owners.” According to Boyle, three more related studies are still due before council begins its first dicussions on the Rodgers Creek West Vancouver real estate development plan at a special council workshop on April 10th at municipal hall at 6pm. More new condo West Vancouver real estate properties online. Published in the North Shore News in July 2008, West Vancouver City begins Rodgers Creek Zoning and written by Manisha K for this publication. Real estate developments along the Rodgers Creek area could be groundbreaking for West Vancouver, said district CAO Grant McRadu at a first reading of bylaws for the real estate project on Monday night. The bylaws describe zoning regulations for future real estate West Vancouver developments on the Rodgers Creek site, and sest out a community benefits package to be included in the contract with British Pacific Properties. The proposals will go to a public hearing on June 28. Density, economic and environmental sustainability, and housing diversity are key principles outlined in the official West Van Rodgers Creek community plan. “West Vancouver… will become a true leader in hillside real estate development,” said McRadu. “This unique Rodgers Creek project stresses environmental sustainability that we believe will truly become a model for other communities in North America. Fifty five per cent of the 215 acres of land will remain protected green space and only about 13 per cent of dwellings will be single family homes, according to West Vancouver council report submitted by Geri Boyle, district manager of community planning. Duplexes, townhouses, mid- and high-rise apartments will make up the remaining living quarters at the West Vancouver Rodgers Creek community plan, not to exceed a total of 736 units spanning six designated areas above the Upper Levels Highway. Areas 1 and 2 are part of the Chairlift neighbourhood of Rodgers Creek West Van real estate and will see primarily single and two-family homes, along with some townhomes. Cluster homes at Rodgers Creek community in West Vancouver real estate, a six storey and an eight storey apartment building will be part of Area 2, located in Mulgrave. Areas 5 and 6 of Rodgers Creek located in Lower East Village and Upper East Village respectively, will each see 12 storey high-rises and amenity bujildings, including a village social centre in Area 5 and a 55 unit high rise in Area 6, for possible rental and senior’s use. These denser areas will be situated towards the west end of the Rodgers Creek area, closer to the future Cypress Village site, which is expected to provide schools, stores, services and various housing types fro residents of the Upper Lands in West Vancouver real estate. Included in the Rodgers Creek report to council was the draft agreement between the district and British Pacific Properties which lists the community contributions the company will pay in exchange for exemption from future zoning bylaws along Rodgers Creek for the next 10 years. 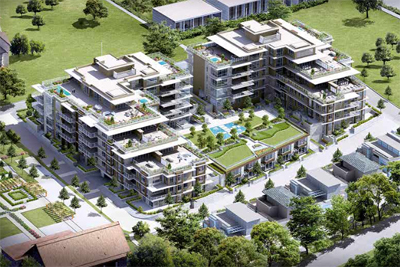 From the time zoning is adopted until the final real estate West Vancouver development permit is issued for Rodgers Creek community, the British Pacific Properties will pay West Vancouver a total of $7.94 million in five instalments. Other benefits include th extension of Chippendale Road to Cypress Bowl Road within 18 months of zoning adoption, the creation of a cyclist friendly mountain path to connect neighbourhoods, traffic calming measured such as raised medians, the creation of a bridge crossing at Pipe Creek and storm water and fire management programs. McGavin Field, located near the future Cypress Village site, will also be upgraded to a larger playfield with parking by the British Pacific Properties in the Rodgers Creek West Vancouver real estate development plan. In the future, the field is intended to be a lit rubgy sized sports field with a children’s playhouse, according to the OCP. Added up, the amenities equal more than $20 million, according to an assessment included int eh report by private consultant Sandra Cawley. “Given te fact that British Pacific Properties is making less money on the rezoned scenario, the current contribution totalling approximately $20 million on the table appears very fair,” stated Cawley. Current Rodgers Creek West Van zoning would allow for a total of 308 single family homes to be developed resulting in a total revenue of $462 million, compared to the $378 million yielded if rezoning for multiple family homes goes through. However, the Rodgers Creek proposed plan in West Vancouver real estate poses less risk to the environment and provides more affordable housing, said Cawley. Buildings and infrastructure are slated to incorporate environmentally friendly desisns, to reduce energy and water consumption as well as greenhouse gas emissions, according to Boyle’s report. Accessory homes are a future possilbity in the plan at West Van’s Rodgers Creek development project. Architecture Equal to Life – Design Equal to Nature at Coast Living at UBC, Vancouver. Inspired by renowned architect Frank Lloyd Wright, Coast Living in Vancouver’s beautiful University community is a collelction of contemporary luxury residences in a stunning natural setting. Spacious attached Coast Villas Vancouver, are designed for entertaining, and feature gourmet kitchens, expansive outdoor terraces, and natural materials like limestone, marble and genuine hardwood. Be a part of this quiet, scenic neighbourhood at Coast Living UBC, just steps from parks, coastal trails, and miles of beautiful beaches. Enjoy celebrated cultural destinations, great shopping along West 10th Avenue, and opportunities for higher learning at UBC, all right at your Coast Living doorstep. Exquisite Coast family homes in a rich, vibrant community are now available. Exclusive Vancouver UBC Coast Living villa release coming this Spring. Call 604.222.8439 today to arrange your private introduction, or visit www.coastliving.ca to learn more. The Vancouver Coast Living Presentation Centre is open daily between 12 – 6pm except Friday at 1853 Wesbrook Mall, UBC. The Real estate developer reserves the right to make modifications to specifications without notice. Mac Marketing Solutions. The exclusive Coast Villa Grand Opening was the first week of March. Architecture equal to life. Inspired by Frank Lloyd Wright, you can be part of this quiet and prestigious neighbourhood where you will find cultural destinations, all the shopping that you would like to browse on West 10th as well as higher learning at the University of British Columbia. The UBC Coast Villas are some of the most unbelievable residences built in Vancouver and the Coast is a collection of fine luxury residences that are absolutely incredible. The Coast Villas are now on sale. Settled on the north western edge of the University of British Columbia’s main campus, against the backdrop of the ocean and evergreens is Coast Living condo homes, a collection of luxury residences expertly embrace the surrounding grandeur. Developed by Bastion Development Corporation, one of Canada’s premier builders and property owners, Coast’s signature architecture was inspired by the work of Frank Lloyd Wright, the great American visionary who pioneered the “organic architecture” movement of the mid 20th century. Just as Wright constructed buildings that seamlessly harmonized with the natural world, UBC Coast living condo presale homes allows its residents to truly experience outdoor living thorugh each home’s thoughtful design. The neighbourhood in which Coast Living UBC condo homes is located is a testament not only to the beauty of the natural world, but to eh various pillars tha serve as the foundation for the university’s vibrant academic culture. Next door to Coast UBC condominium homes is the Chan Centre for the Performing Arts, home to stellar acoustics and ongoing opportunities for intellectual stimulation. Just down the street is the Museum of Anthropology, world-renowned for its collection ground breaking research and numerous public programs at Coast Living in the UBC real estate market. In addition to countless cultural attractions, convenient amenities and nearby shopping districts, Coast condo homes and pre-construction UBC real estate properties are just minutes away from some Vancouver’s finest beaches. There are also many parks in the vicinity, as well as the Nitobe and Botanical Gardens. Coast UBC living offers 82 distinct floor plans and 5 unique types: town homes, city homes, park homes, Coast terrace homes, UBC villas. The interiors of these abodes have been meticulously designed to accentuate the building’s transcendent architecture, with each floor plan featuring strong clean lines, aesthetic simplicity and natural elements such as limestone, granite or wood. The kitchens and bathrooms are accented by lavish European apointments by Kohler, Sub-Zero and Miele. Currently, UBC Coast condo homes is 85% sold, and has homes available for purchase starting at the mid $800s to $3.6 million. For more information visit www.coastliving.ca. Another great UBC Real Estate Development is the Wesbrook Place Pacific Spirit Apartments by Adera Properties. A Modern Classic in the Making. History has proved it. Whether it’s the blend of forward-thinking innovation mixed with time honoured tradition or simply the underlying vibrancy that evolves from a shared passion for learning in all its glorious permutations, people love living near a university. And now, there’s an exciting new real estate opportunity to be part of this unique lifestyle at The Wesbrook at UBC in Vancouver and on the edge of the Pacific Spirit Regional Park. Susan for the New Home Buyers Guide. Posed to become the first high-rise at Wesbrook Place, UBCs newest master planned community, The Wesbrook at UB in Vancouver is a spectacular marriage between location and excellence brought to you by ASPAC, the real estate developer who transformed Coal Harbour into one of the world’s most prestigious, sought after addresses. And here’s something you won’t find anywhere else in Vancouver – a 763 hectare park as your backyard. Set next to the lush greenery of the Pacific Spirit Regional Park and with views of the ocean sparkling in the distance, The Wesbrook at UBC also proudly takes “green building” one step further. “The Wesbrook will be the first high-rise tower at UBC to be built to Silver REAP standards of sustainability and reduced environmental impact,” Lance explains. Many of the solutions to this Wesbrook Place complex challenge add more than beauty, they add greater livability. A prime example is the lavish, wrap-around balcony that is part of every suite. “Not only does it give you an amazing amount of outdoor living space, but it helps keep direct sunlight off your windows so even though you have enhance natural light, you will require less energy for air conditioning,” Lance explains. Clearly designed to appeal to the most discerning purchaser, the interiors of these residences are sleek and contemporary with a crisp minimalism that allows each space to flow effortlessly into the next. Lance points out the Italian Snaidero cabinetry built exclusively for Wesbrook’s kitchens and baths, the ensuites’ marble counter tops, and the soft motion closures that ensure the discord of slamming drawers is a thingo f the past. “We are also introducing the Miele integrated refrigerator to Canada,” he says, adding home buyers at the UBC Wesbrook condominium tower will have a choice of two fridges with a single, built-in pantry or one fridge with dual pantries. The Wesbrook at UBC offers a total of only 58 exclusive two bedroom and three bedroom residences plus alimited collection of seven townhomes. The Wesbrook presentation centre is open by appointment between 10:00 am and 5:00 pm Monday to Friday at 1800 – 1055 West Hastings Street in Vancouver’s prestigious Coal Harbour. For more information call 604.683.3388 or you can visit them online at www.thewesbrook.com. By Robert A.M. Stern Architects in collaboration with Lawrence Doyle Architect. At Water’s Edge is voted best new community in British Columbia in the luxury real estate market, the best value in Vancouver is in West Vancouver! Straight from their print marketing push, here are 6 facts about the West Van Water’s Edge real estate development. Firstly, it is voted as the best multi-family real estate property development in Canada, with 10 foot ceilings and air conditioning in addition to being designed by renowned architect Robert Stern, Dean of Architecture at Yale University. In addition, the At Water’s Edge West Vancouver property is a walk to Park Royal Shopping Centre and Village and the Capilano River and Pacific Trail are both at your doorstep. At Water’s Edge is irreplaceable at today’s construction and land costs. This is not a West Vancouver pre-sales condo. You can move in today! Vancouver’s best priced luxury real estate per square foot is at the West Vancouver Water’s Edge development. Some of the Estate Homes at Water’s Edge that are still available include 300 – 508 At Water’s Edge Crescent which are 2718 sq ft and at $1,999,000 (or $735/sf) or 101 – 526 at 1883 sqft and $1,159,000 (or $833 per sf). Also available are condo residence Water’s Edge estates between 2110 sf and 2806 sf between the price ranges of $1,499,000 and $2,399,000. The only featured West Vancouver At Water’s Edge Villa is at 304 – 533 and are 1091 square feet listed at $759,000. The presentation centre for the Water’s Edge development is located at #300 – 526 Water’s Edge Crescent in West Vancouver, BC. They are open 12 – 5pm daily and closed on Fridays. For more information, you can call 604.974.0059 or visit www.at-watersedge.com. Managed by Hollyburn Properties, the fully renovated condo view suites at Nicola Place apartments are now available! Located at the corner of Nicola Street and Davie Street at 1228 Nicola Street in downtown Vancouver, these apartments suites for rent will offer rental one bedroom condominiums with balconies (with views on the higher levels). The rental Nicola Place Condos will have new kitchen appliances including dishwashers in addition to featuring hardwood flooring, vertical blinds, mirrored closet doors, and the latest in bathroom fixtures and faucets. In addition to these downtown Vancouver rental apartments in downtown Vancouver, you will have views overlooking the ocean, city and North Shore Mountains in addition to gated secure parking underground. The Nicola Place condo apartments for rent will be walking distance to English Bay, trendy shops and storage lockers are provided. The downtown Vancouver rental apartments at Nicola Place are not pet friendly unfortunately. For more information, please call 604.684.4244 on how you can rent a recently refurbished apartments suite at Nicola Place. According to Susan for the Home Renters Guide, Nicola Place is your place to call home. When Chistopher Rogers moved to Vancouver, he knew he was moving to one of the most beautiful cities in the world. But when he discovered the rental suites at Nicola Place in Vancouver’s West End, he immediately found himself falling in love all over again. The West End Nicola Place rental condo apartments is like a family or a community where people know and care about each other. This classic residential rental building is now reborn. And there was even more good news in store for Chris. The rental Nicola Place condos in downtown Vancouver’s West End is currently undergoing a top to bottom renovation. Floor by floor, every one fo the rental suites is being gutted, rewired, refinished and transformed into a sunny living space that would be quite at home in any new condominium development in downtown Vancouver. The Sales and Marketing Manager for Hollyburn Properties, the managers of the Nicola Place apartments for rent in the West End provides great views from English Bay to Kits Beach and out toward the Gulf Islands. The meticulously planned kitchen will have white cabinetry angled peninsula style island and two rarities among the West End rental apartment marketplace – a dishwasher and a window in the kitchen! “Hollyburn Properties is also considered to be a national leader in energy efficiency and greenhouse gas reduction programs,” Alisa says. “For example, all the new appliances here at Nicola Place are Energy Star, lighting fixtures and light bulbs are Power Smart, and we’ve installed digital thermostats to maximize heating efficiency. It’s all about conserving energy at the downtown Vancouver rental condos at Nicola Place West End. Right now, the renovation is still going on, but Hollyburn Properties expects the initial move-ins to take place in April or May. Right now, they are accepting rental applications for potential tenants. Nicola Place West End rental condo apartments are located at 1228 Nicola Street in downtown Vancouver and provides a selection of fully renovated, one bedroom apartments proudly managed by Hollyburn Properties – nationally recognized for quality rentals. For more information and to arrange a viewing, call 604.684.4244 or visit www.rentersguide.com. With a breath of fresh air, finally a new rental condominium project is underway at the Rise Vancouver. As a brand new urban village, The Rise Vancouver rental suites is currently under construction (and so is their website which should be up and running within the next month). The Rise Vancouver rental apartments and condos for rent are located at a great location at Cambie Street and 8th Avenue. Although it is the scene of much construction for the Canada Line expansion of the SkyTrain from Richmond to Waterfront Station, the Rise apartment rentals are going to be in a prime location once the dust settles. The lower levels of the Rise real estate development in central Vancouver will feature such things as retail shopping stores including Winners and Home Sense, Save-On-Foods and even a Home Depot. Above the lower level retail at the Vancouver Rise are impressively large and beautiful live/work apartment suites. The expected completion for the Rise rental condos in Vancouver are for winter of 2008 and the preliminary word out is that the condominium apartments for rent at The Rise Vancouver will range anywhere from seven hundred and twenty sq foot one bedroom suites to spacious fourteen hundred and fifty sqft 2 bed rentals. The Rise rental suites will feature three distinct living spaces and floor plans that range from Sky Flats, View Lofts and Garden Homes, each with their own particular advantages and uniqueness. The live/work rental suites at The Rise will feature seven appliances, granite counters, creative work spaces for your home office and of course an impeccable location and neighbourhood just at your doorstep. The Vancouver rental condos at The Rise suites is currently updating their site, but for more information, please contact them at 604.876.7473 (RISE) or info@therisevancouver.com. RENT NOW in the heart of Fairview Slopes in Vancouver. Just minutes from Downtown Vancouver. Walk or bus to work. Located on Cambie Street with great access to the Downtown Vancouver business and entertainment districts. The Rise Fairview rental apartments suites are close to shopping, restaurants and services which surround you at The Rise rental condos. Generous living spaces at the Vancouver Rise rental apartments in the Fairview Slopes district are now renting from $1950 per month. Parking and storage are also available to renters. These are also new pet friendly rental apartments at The Rise Vancouver. Call today at 604.876.7473 to meet The Rise rental condos at Vancouver’s Fairview Slopes or visit us at 485 West 8th to see these great rental homes at the entrance to Downtown Vancouver. Renting quickly. Call now. Open daily Monday through Friday from 12 to 6pm, Saturday from 10am to 6pm and Sunday from 10am to 5pm. 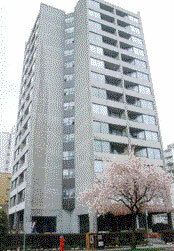 Nelson Place at 1424 Nelson and Broughton provides great downtown Vancouver rental condo apartment homes. With ocean and mountain views, sauna and indoor pool, gated underground parking and close to shops, beach and park, you can get a viewing booked by calling the Resident Manager at Vancouver’s rental Nelson Place homes at 604.684.3921. Itziar Management Ltd. presents the Carmen Manor rental condo suites at 1516 Davie Street at Nicola in downtown Vancouver’s real estate properties for rent. These Carmen Manor condos include 1 bedroom suites with balconies, close to shops, the beach and the numerous West End parks as well as provides laundry facilities, shopping, dining, and community Sauna and outdoor pool for the Carmen Manor at Nicola. No pets are allowed at the Vancouver rental suites at Carmen Manor by Itziar. To view, please call 604.685.0652. City Living Begins at Infinity Downtown Vancouver condos for rent. 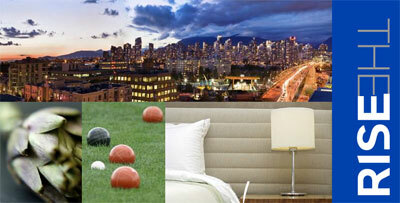 The Infinity Condominiums rental apartments provides downtown Vancouver at your doorstep. 1 and 2 bedrooms available now. Ideal for those who thrive on the energy of downtown Vancouver, a rental apartment at Infinity puts downtown at your door step. Infinity condos also offers tremendous amenities including a fully equipped fitness facility, access to maid service and rental suites wired for high speed internet access at the Infinity Vancouver. You even have a Chapters Bookstore, Starbucks, Kichi Sushi and Urban Barn all located within the Infinity rental suites condo building. The Infinity homes for rent in Downtown Vancouver are located at 828 Howe Street and you can call 604.681.1186 for more details. Located at the prestigious 1600 Beach Avenue address, the downtown Vancouver Beach Towers consists of a high-rise residential concrete building that is for the executives, singles, couples and families who enjoy the excitement of this area. Vancouver’ finest right on English Bay, Beach Towers rental suites and condominiums include availability from 1 bedrooms at $950/month to magnificent 2 bedroom suites from $1800/month. Quality living at its best in downtown Vancouver’s rental apartments market in a prestige building of 24 stories with the most amazing views out through English Bay. The Beach Towers in Vancouver’s rental market also provides a health spa and indoor pool in addition to 800’ of ocean frontage. The rental suites also has a security guard and no pets are allowed. Please call 604.682.3731 for more details or visit www.apartmentsvancouver.com. Located in the heart of Central Lonsdale in North Vancouver, this North Shore Marlborough Tower condos for rent include studio, one and two bedroom apartments with balconies and views of the ocean, city and mountains. With gated underground parking and steps to the Central Lonsdale community for shopping and restaurants, the Marlborough Condominium Tower rental suites in North Vancouver provide a wide array of recreational amenities. The utilities that are included with there rental suites at Malborough Tower Central Lonsdale apartments include heat and hot water but no pets are allowed. The apartment rentals are located at 144 West 14th Street in North Vancouver and you can call 604.983.6920 for details. are one of the best valued condos for rent in this prestigious area. With studio, one to three bedroom apartments for rent in Kerrisdale, The Hollies condominiums also have balconies. With direct access to UBC and Langara College and bus transportation as convenient as anything, the Vancouver Hollies apartment rentals are great for families or students. Also, this is a concrete building with outdoor pool and gated parking. IN addition, the Hollies Kerrisdale rental condo apartments are steps away from top rated schools, boutiques, restaurants and amenities in the Kerrisdale community. Heat and hot water are included with your rent and again, no pets allowed as this is a strict policy held by Hollyburn Properties, the property manager for The Hollies. These Kerrisdale condo rentals are located at 6450 East Boulevard in Vancouver and you can call 604.261.5830 for more information. Another Hollyburn Kerrisdale rental community building is located at Kerrisdale Tower A & B with one to three bedroom apartments for rent with fantastic views of the West Side and out to Richmond as well. Same utilities and pet conditions pertain to the Kerrisdale Towers A & B where you will find a community outdoor pool for renters in addition to a great location close to transportation nodes, schools, grocery and shopping. The Kerrisdale rental Tower condos A & B are located at 2151 West 39th Avenue in Vancouver and you can call 604.264.4489 for more details.